Please Save the Date for The Rotary Club of Toronto's 70th Annual Golf Tournament to be held on Thursday, September 20th. The date is a month later than usual due to the convention. Registration begins at 11:00AM followed by lunch. Golf is a scramble format with a shotgun start at 12:30 PM. Following the golf, the players will have time to relax and enjoy a reception, followed by dinner and prizes. The event will wrap up around 9:00PM. Non-golfers are encouraged to join us for the reception and dinner. The cost for dinner only is $60. WEBSITE TO REGISTER: YOU ARE HERE! Get out your pen and mark Thursday September 20, 2018 as a golf day – even if you don’t golf! The Golf committee is inviting, encouraging, and downright prepared to annoy you until you sign up for the 69th annual charity golf tournament. Events that survive 70 years you know are a good time. 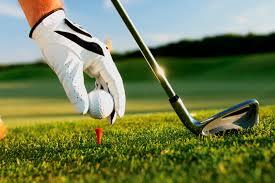 Cost of the tournament is $175 a golfer or non-golfers can join us for dinner at a cost $60.00. For details on the charity, format and tee off times check the registration link.